Ever since the mid 1970’s this man has been making people laugh. He made the transition from being a folk singer to a full on comedian with huge success. As well as being a stand-up Billy has appeared in many films including Indecent Proposal and The Last Samurai. Add in lots of guest TV appearances, his own shows, and a small library of books and you can see how huge this highly respected comic is. 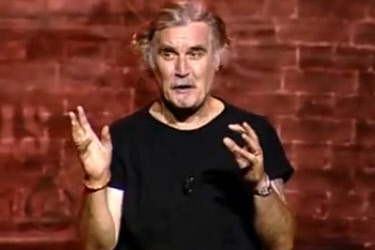 So here are funny Billy Connolly jokes, right from the Scotsman’s mouth. You can now catch Billy doing programs such as ‘Journey To The Edge Of The World’ on ITV. But if you want to relive his classic performances you can pick up his DVDs at some great prices. Billy is an absolute legend. I got to meet my all time fav funnyman before a gig he was doing on Brighton Sept 2007 …He was a gentleman & kindly signed my t-shirt & posed for photos. The Big Yin …absolutely love him! !